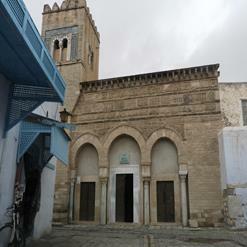 Great Mosque is one of the finest Islamic buildings in North Africa and rewards closer inspection. Non Muslims are not permitted into the prayer hall, but the doors are open to allow you to view inside. Access to the main courtyard is available to all. The columns throughout the complex were taken from Carthage.